So this month marks the 50th Anniversary of an icon, the Type III Trucker jacket. Born into the rebellious Summer of Love movement, the Type III Trucker jacket represents a voice of the youth, authentic style and self-expression that has rocked our wardrobes since 1967. 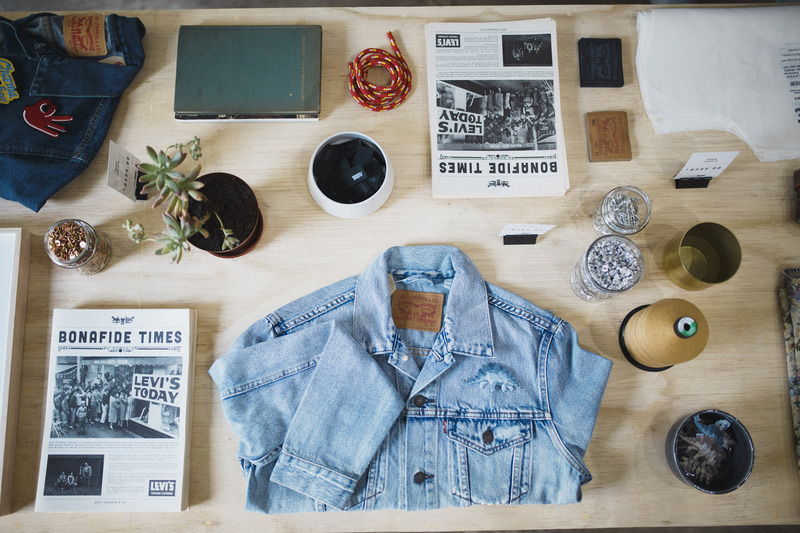 It is in this spirit of self-expression and celebration of an icon that Levi’s® has opened the home of customization – the Levi’s® Tailor Shop. Nestled in the heart of Jozi in Braamfontein, the Tailor Shop opened it’s doors on 15 September 2017 to the public for one month only. All customizations done to any Levi’s® jacket will be free of charge and visitors to the Tailor Shop can choose from the various techniques available on the menu such as paint flick, dip & dye, patches, cuts, distressing, spray on stencils, fabric pens and accessories.